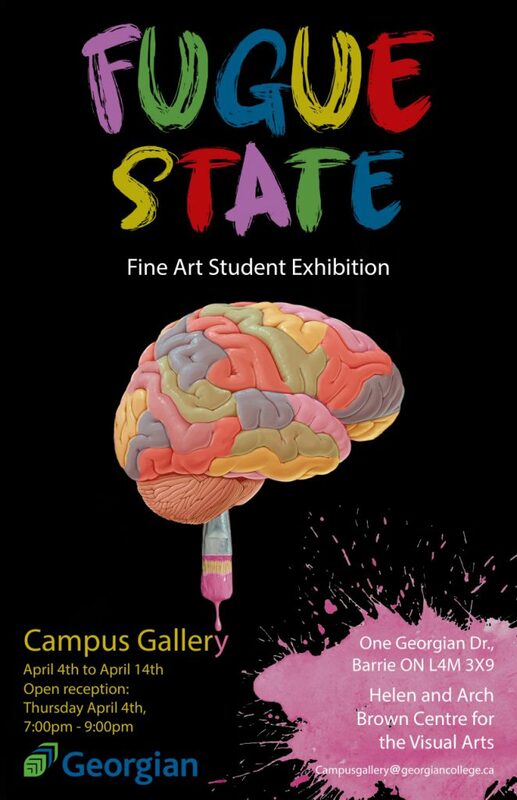 Georgian’s Campus Gallery is a vibrant multi-disciplinary exhibition space where students in Design and Visual Arts programs and established artists showcase their work. It is located within the Helen and Arch Brown Centre for Design and Visual Arts (D building) at the Barrie Campus. Gary Evans by email or call 705.728.1968, ext. 5322.